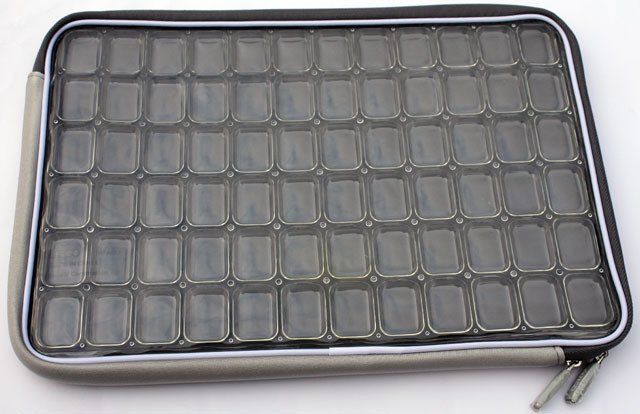 Laptop sleeves come in all sizes and designs but the Clear Laptop Sleeve from Samsill definitely stands out from the pack thanks to its unique design. As the name suggests, this sleeve has a transparent front panel that shows off your laptop to the world. If you are an artist, have a laptop with a nice front lid design or if you just want to parade your MacBook or another type of fancy laptop this may be the right sleeve for you. 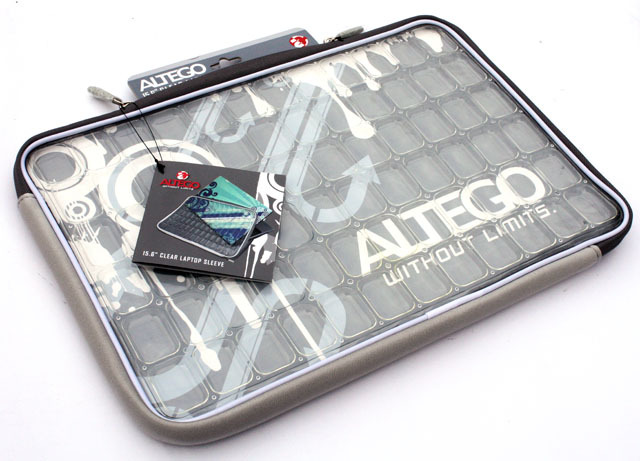 The Altego Clear Sleeve is available in six editions; there's a 10" version for netbooks, a 13" and 15" model for MacBooks, and 14", 15.6" and 17" editions for regular laptops. In this review I'm taking a closer look at the 15.6" model, mine is grey but you can also get it in pink or black. The 15.6" is designed for laptops measuring up to 15.1" x 10.25" x 1.6" (38.35cm x 26.0cm x 4cm), it has a MSRP of $34.99 but you can find it online for a lot less. The Altego Clear Laptop Sleeve complies with TSA guidelines so you can quickly move through airport security without removing your laptop. 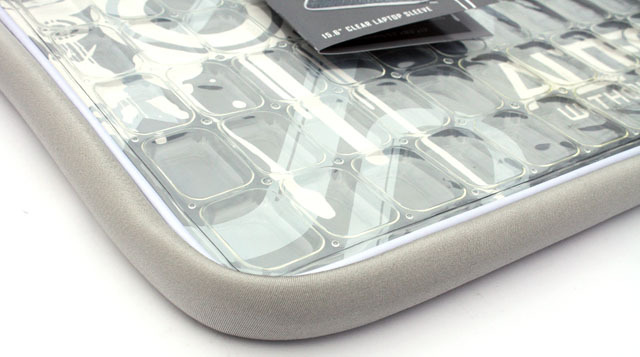 The transparent front panel features cushions of air and a thick neoprene lining to protect your laptop. 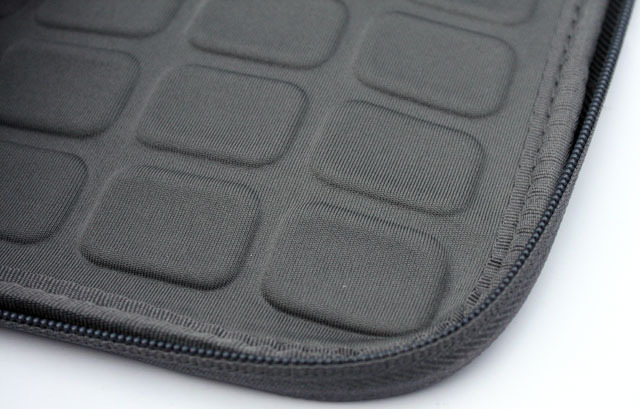 There are a total of 72 air pockets, each one is independent so even if a single air pocket punctures the sleeve will still provide protection to your laptop. 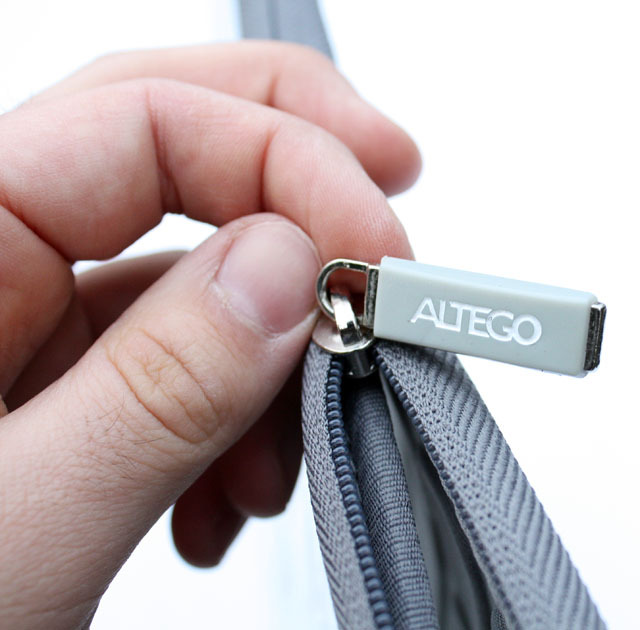 The air bags give this sleeve a distinctive design and Altego's website boasts this is a great way to protect laptops because air has been shown to provide superior protection from shock, impact and vibration. Here's a closeup of the air bubbles and the grey, cushioned neoprene bottom. The rear side on this model is made from grey neoprene, but you can also get it in pink or black. Personally, I think the black version will look best, the grey looks a bit too bland. The sleeve has two zippers that go all the way around. 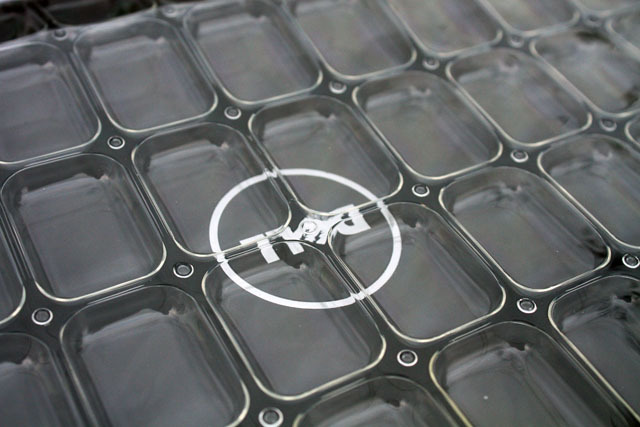 Another closeup of the air pockets, this time from the inside of the sleeve. 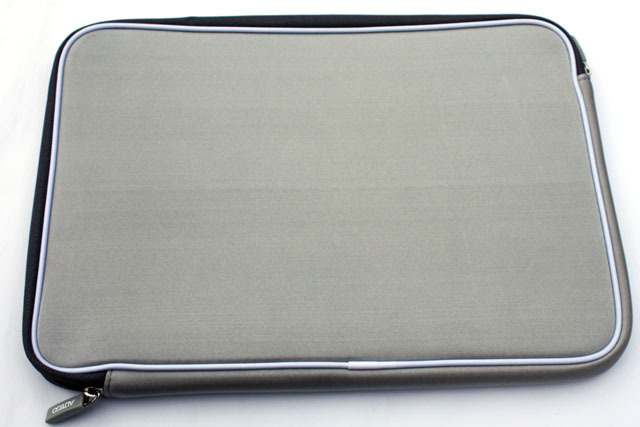 The interior has a darker grey color and features neoprene padding so your laptop is protected on both sides. To test the Altego Clear Sleeve I used my 15.6" Dell Studio 15 laptop but I didn't find it a perfect fit. 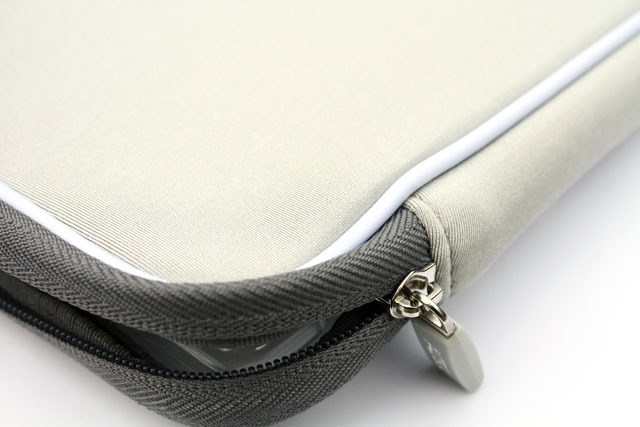 I found it impossible to close the zippers of the sleeve when I inserted the thicker rear end of the laptop first, only by inserting the slimmer front first could I close the zippers. I think this sleeve is a little bit too small for my laptop and I also noticed that the air bubbles make it a bit harder to insert and remove your laptop due to their uneven surface and their gooey plastic nature. They tend to stick a little to the front lid of your laptop. 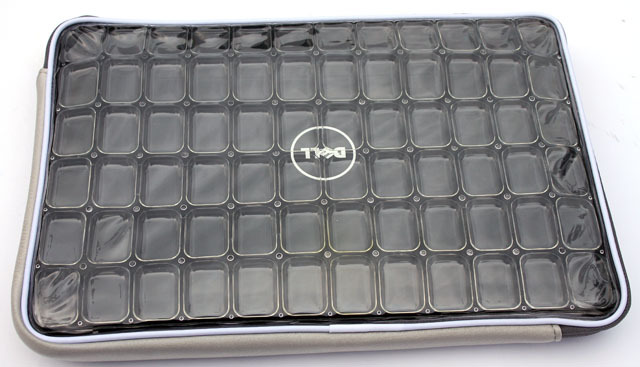 The Altego Clear Laptop Sleeve is a nice fit for people who want a unique laptop sleeve but as I found out while testing this product it's a little bit too small for some laptops. Another drawback is that the air bubbles tend to stick a little to the front lid of your laptop which makes inserting and removing the laptop somewhat inconvenient. The MSRP of $34.99 makes it hard to recommend this product but fortunately it can be found for a lot less. The black 15.6" Clear Laptop Sleeve is sold on Amazon for $14.99, which is a very reasonable price. 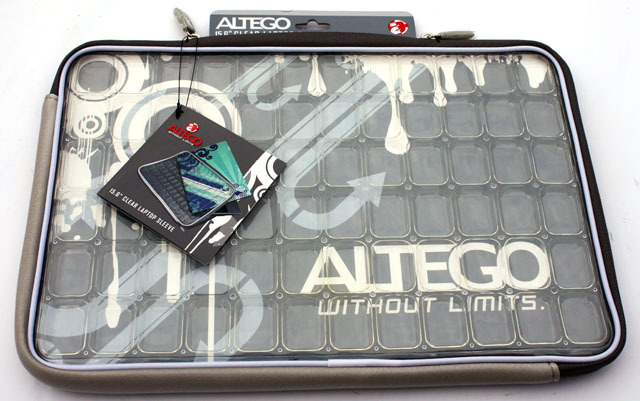 I give the Altego 15.6" Clear Laptop Sleeve a 7/10.